Desserts make life just that much sweeter, so even when we’re trying not to indulge, we can’t help but get a little excited when a new delicious recipe comes out way. 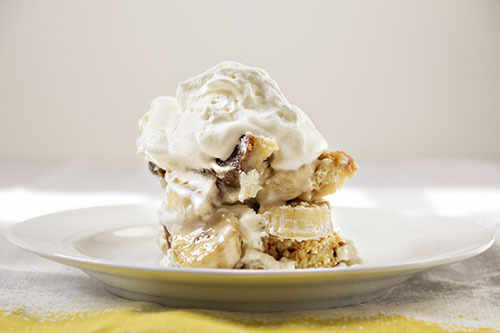 If you like creamy textures of pudding, the firm bite of cake and the sweet flavor of banana, this one is for you. Pick up your favorite store-bought pound cake from the store on the way home, and we’ll see you in the kitchen. Start by heating your milk until it nearly boils and then reduce the heat to let it simmer. At this point, stir in your cornstarch and sugar and then whisk until it becomes nice and thick, then remove it from the heat and stir in the butter and vanilla extract and allow it to chill. In a separate bowl, whip together your cream, sugar, and vanilla until stiff and set that aside to chill in the fridge alongside your pudding. While those cool off, slice up your pound cake into 1/2” slices and toast it until crisp. Slice the bananas into 1/4” slices and then layer half of the pound cake slices across the bottom of a wide serving dish, spreading the bananas out over the top. Then, pour your chilled pudding overtop of the first layer evenly and cover that with a second layer of pound cake. 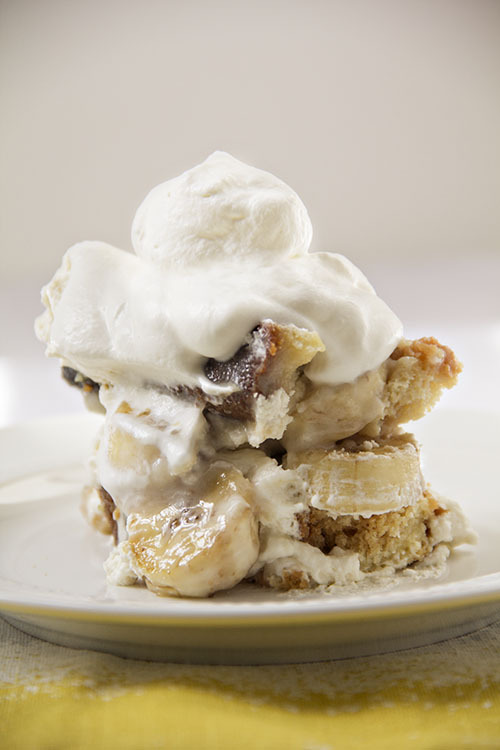 Top that with the remaining bananas and the sweet whipped cream and chill for 45 minutes to an hour. It doesn’t get much sweeter that this!